She'll play Emily Locke, an insurance adjuster, at the worst insurance company in America that exists within the DC Comics universe. She loves her job but the crazy antics of the super-heroes and villains in her city make being a powerless person frustrating. 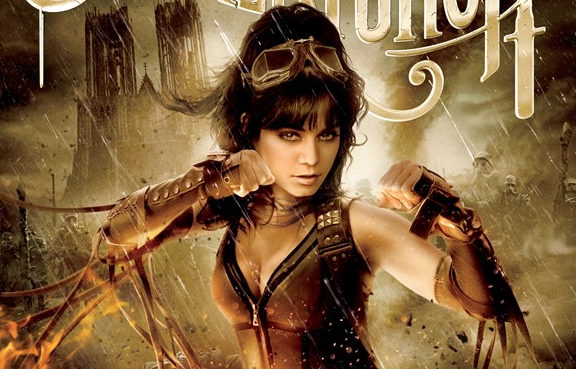 This would make Hudgens' first regular television series role after having success on the Disney Channel and film. She's probably best known as Gabriella Montez in the wildly popular 'High School Musical' series of movies where she co-starred with Zac Efron. She also starred in Zack Snyder's 'Sucker Punch,' Robert Rodriguez's 'Machete Kills,' and 'Spring Breakers' with James Franco. Her spectacular performance in 'Grease Live' came hours after learning her father had passed away. The NBC pilot joins other comic book based shows on television like Arrow, The Flash, Legends of Tomorrow, Supergirl, Lucifer, Agents of SHIELD, Agent Carter, Daredevil, Jessica Jones, The Walking Dead, and the upcoming Preacher, Luke Cage, Iron Fist, and Defenders. However, 'Powerless' (and ABC's 'Damage Control' from Marvel) will be the only superhero comedy programs to hit TV thus far. If the current hit film 'Deadpool' has proven anything, it's possible to mix superheroes and comedy. 'Powerless' is scripted by Ben Queen (A to Z) and will also executive produce. Michael Patrick Jann is directing the pilot. If the pilot is a success NBC could order it to series. Hopefully, they'll give the show the proper chance to grow an audience as opposed to the way they treated last season's Constantine whose season order was cut before canceling it.